The Gravity Defyer Men’s Marseille II Pain Relief Loafers are easily among the best looking and most comfortable dress shoes available. Nothing quite beats the hand-stitched South American Nappa leather, either in terms of comfort or durability. Gravity Defyer utilizes premier layered manufacturing to put together a loafer which optimizes style and quality. Gone are aching arches and sore soles after a long day’s work when you choose a pair of men’s Marseille pain relieving loafers. These dress shoes not only sport a lustrous finish, but they also match the shine in all aspects of quality. Proprietary technology integrated into the sole absorbs the impact of walking which gives immense long-term benefits. More of this will be explained within the overview of its features. There is no shortage of style, nor any compromises made. From the moment that you receive these great men’s dress shoes, the weight clearly conveys the durability and quality, while not being heavy enough to ever cause discomfort. 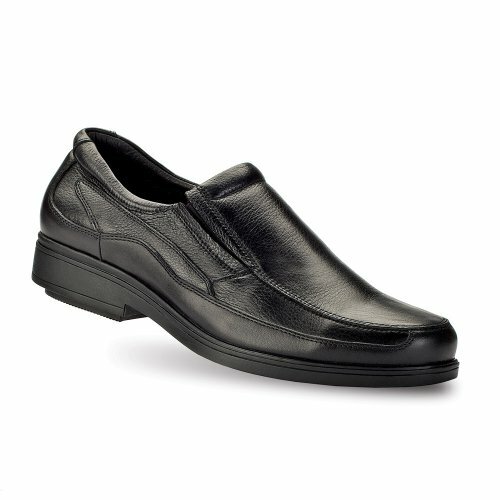 The Gravity Defyer Men’s Marseille II Pain Relief Loafers are of superior quality and style. Below we’ll be detailing to you what makes them a highly versatile, long-lasting choice. Constructed from fabric and leather using a unique Gravity Defyer VersoShock reverse trampoline design, these shoes have excellent shock absorption and they maximize the return of energy. This technology incorporates a layered approach to manufacturing. A premium designed upper is fitted upon a latex sock liner which gives excellent ventilation. AVS3 ventilation channels are seated below this, granting foot support and airflow to the shoe’s interior. Beneath is the heel chamber cap closing the spring-loaded design the sole, where no less than three shock absorbers are embedded. Ventilation channels run through the sole of the shoe as well, while the midsole and outsole are made from a dense rubber polymer. Finally, a patented reverse trampoline heel finishes off this fantastic shoe. The arch support and protection is nothing short of outstanding, with a full shank protecting your foot. Thanks to the range of outstanding patented technology and superior design, the Gravity Defyer Men’s Marseille II Pain Relief Loafers do a great job of reducing tension, stress, and pain in the legs, feet, and even lower back. The pain relief is comparable to orthopedic shoes, while orthopedic inserts are also supported. The Defyer Men’s Marseille II have been known to bring great relief to those suffering from Plantar Fasciitis, while also treating a range of common foot ailments. As a result, these shoes are comfortable from the moment that they arrive, requiring barely any break-in time. Unlike other dress shoes, they will fit great from the first time that you put them on, with comfort only increasing over time. A minor complaint from some wearers is that on hard surfaces these loafers can begin to squeak. This will only occur after extended use and the sound is barely audible. Customer support is known to be extremely attentive, replacing any shoes that develop a loud squeak or any other defect within a quick timeframe. Gravity Defyer always honors their warranty, with their shoes holding up very well to wear and tear. 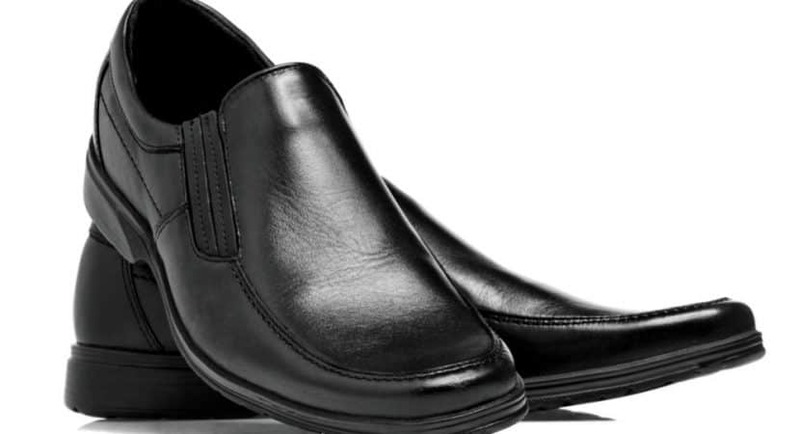 There are very few loafers which give the comfort and pain relief which these shoes do. Back pain and aching feet will be a thing of the past after just a few hours use, while over a long term they have been known to help eliminate foot issues completely. Their ergonomic design and orthopedic support rival that of custom-crafted therapeutic shoes, while their cost is a fraction of other footwear with similar designs. When comparing the aesthetic of the Gravity Defyer Men’s Marseille II Pain Relief Loafers to alternative contemporary designs not specifically engineered for pain relief, they rival the looks and elegance of most of these brands. They are maybe not the flashiest dress shoes out there but this is actually a benefit. Loafers are intended to give you a comfortable footwear choice for formal or casual attire and these shoes from Gravity Defyer are a prime example of a perfect design. They’re available in large sizes and are fashionable enough to be worn with almost any outfit. Most loafers are purposed towards a specific dress style, matching only formal or casual, not both. These loafers are just one of the many outstanding pain relief products from Gravity Defyer. Their sports shoes are already renowned for having some of the best comfort levels around, supplying orthopedic support which enables sufferers to participate in doing the things they love. Once you have tried any of the shoes, you will be eager to expand your collection with a different style, purposed for a different use. If your feet are irregularly shaped, such as is seen with high-arches or flat-footedness, these shoes will be a perfect match. They fit all foot shapes without any discomfort, supplying solid support and great fitment with no slippage of your sole. Given the outward appearance, one would struggle to tell that they are designed to give orthopedic support, making them a good choice for all-around use. These are excellent dress shoes which are a fine addition to Gravity Defyer’s already-outstanding range of men’s footwear. From their athletic wear to casual and formal shoes, their entire collection is renowned for comfort. Between the crack and crease resistance, the perfectly cushioned fit, and the pain relieving properties, the Gravity Defyer Men’s Marseille II Pain Relief Loafers are an excellent option for anyone who wishes to maintain a stylish look while purchasing something practical. It is hard to fault these excellent loafers. Once adjusted to the form of your feet, they will be hard to replace. Comfort levels are superb and the general design is versatile enough to be worn casually, or to an office or corporate event.